A lot of startup founders have the same philosophy, they think that no matter what they do as long as they build it people will come. It goes along the same lines as growing organically, or magically. Sure there are huge grand slams every now and then but most of them either come from founders with long pedigrees in startups or because they caught the backing of name brand venture capitalists and angel investors early on. 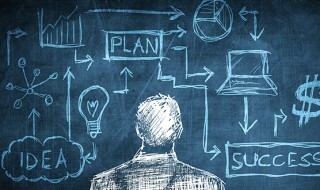 For others, gaining traction requires marketing. For bootstrapped (or sneaker strapped) startups that often times means grass roots marketing, crowdfunding, and good ole donations. When speaking, Case follows the Field of Dreams example with, “if you market it they will come” a valuable lesson. In the video below he talks about his first big venture into entrepreneurship. He built a product in 1994 that was packaged software and still available to this day. He talks about buying a full page advertisement in the biggest industry publication for his product. The problem though, the phone never rang. That’s when he set out to learn marketing. This is a valuable lesson for all startup founders and the video is worth watching. 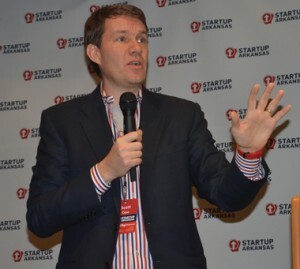 Case was delivering the keynote at the recent Think Big Arkansas event in Conway Arkansas, a similar message to the one he delivered the week before that in Atlanta and the week before that in Memphis at everywhereelse.co The Startup Conference. In talking with Case we discussed “canned speeches” and how I’ve personally seen Case speak over 30 times in the last year. The thing about him though, is that he doesn’t do the same canned speech at every event, but he often resorts to the Field of Dreams story, because it’s not a valuable lesson, but the most valuable lesson. Now go watch this hilarious video from the Startup Arkansas kick off.